On this page I'll include some of my family and friends. 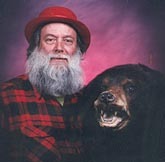 Me with Claude Dern, the editor of Beartown News. 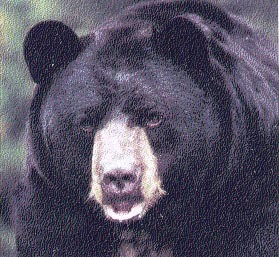 Us bears are always hungry and would appreciate any leads you might give us about the location of nuts, berries, ants, and grubs. They are all so "GOOD". I don't see Dad very often. He ran of toward Stratton with some young sow. I think I must have a lot of half brothers and sisters! 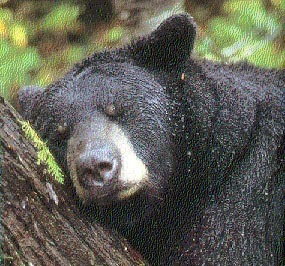 If you come across any bear pictures they may well be part of my extended family. I hope you would share them with me. Thanks for your interest! My nephew, Cubby, practicing climbing. I hope to arrange a large family reunion this summer when the berries get ripe. There will be swimming and lots of FOOD!